Tokyo, the capital city of Japan, is also home to the Imperial Palace and the seat of Government and Parliament. In East-Central Honshu, the largest of Japan's main islands, this heavily populated city is well worth exploring. One of the world's most modern cities in terms of its infrastructure and design - due largely to the 1923 earthquake and the devastation of WWII - Tokyo also holds the title of the world's most expensive city in which to live; fortunately, it's also one of the easiest to get around thanks to its superb rail and subway networks. The cultural side of Tokyo is famous for its numerous things to do and top attractions, including museums, festivals, internationally noted cuisine, and professional sports clubs, including baseball, football, along with traditional Japanese pursuits like sumo wrestling. It's also a city rich in music and theater, with numerous venues featuring everything from Japanese to modern dramas, symphony orchestras, and pop and rock concerts. Discover the best places to visit in the city with our list of the top attractions in Tokyo. The chief attraction of Tokyo's Marunouchi district is the Imperial Palace with its beautiful 17th-century parks surrounded by walls and moats. Still in use by the Imperial family, the Imperial Palace stands on the site where, in 1457, the Feudal Lord Ota Dokan built the first fortress, the focal point from which the city of Tokyo (or Edo, as it was then) gradually spread. As famous as the palace is the Nijubashi Bridge leading to its interior, a structure that takes its name ("double bridge") from its reflection in the water. Other notable features include the two-meter-thick wall surrounding the palace and its gates, one of which leads to the East Higashi-Gyoen Garden. Tours of the Imperial Palace are available (pre-registration required) and include the Kikyo-mon Gate, Someikan (Visitors' House), Fujimi-yagura ("Mt. Fuji View" Keep), the East Gardens and Inner Gate, the Seimon-tetsubashi bridge, and the Imperial Household Agency Building (be sure to plan ahead). Another fortress that can be visited is Edo Castle (Chiyoda Castle), built in 1457 and located in Tokyo's Chiyoda district. Ginza is Tokyo's busiest shopping area and is as iconic as Times Square in New York, and much older: it's been the commercial center of the country for centuries, and is where five ancient roads connecting Japan's major cities all met. Lined by exclusive shops and imposing palatial stores, the Ginza district is also fun to simply wander around or, better still, sit in one of its many tea and coffee shops or restaurants while watching the world rush past. At weekends, when everything is open, it's a shopper's paradise as traffic is barred, making it one of the world's largest pedestrian zones; come nightfall, gigantic advertising panels on its many buildings bathe Ginza in bright neon light. 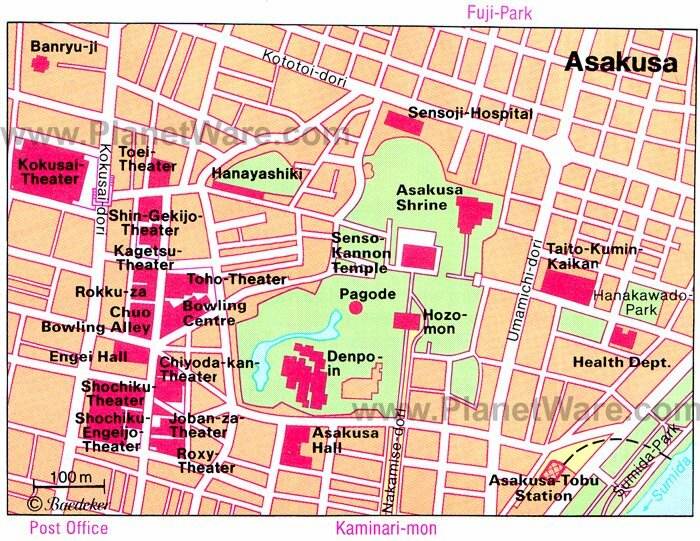 It's also where you'll find the famous Kabuki-za Theatre (see #12 below), home to traditional Kabuki performances, as well as the Shinbashi Enbujō Theatre in which Azuma-odori dances and Bunraku performances are staged. In the Asakusa district of Tokyo, the exquisite Sensō-ji Temple - the city's most famous shrine - stands at the end of a long street market hosting vendors selling masks, carvings, combs made of ebony and wood, toys, kimonos, fabrics, and precious paper goods. Dedicated to Kannon, the Buddhist goddess of compassion, the temple was established in AD 645 and retains its original appearance despite having been rebuilt numerous times. Highlights include the Kaminari-mon Gate with its 3.3-meter-high red paper lantern bearing the inscription "Thunder Gate;" the famous and much-loved Incense Vat, reputed to drive away ailments (you'll see people cupping their hands around the smoke and applying it to the part of their body needing healing); and the fascinating temple doves, said to be Kannon's sacred messengers (they also tell fortunes by pulling cards from a deck). 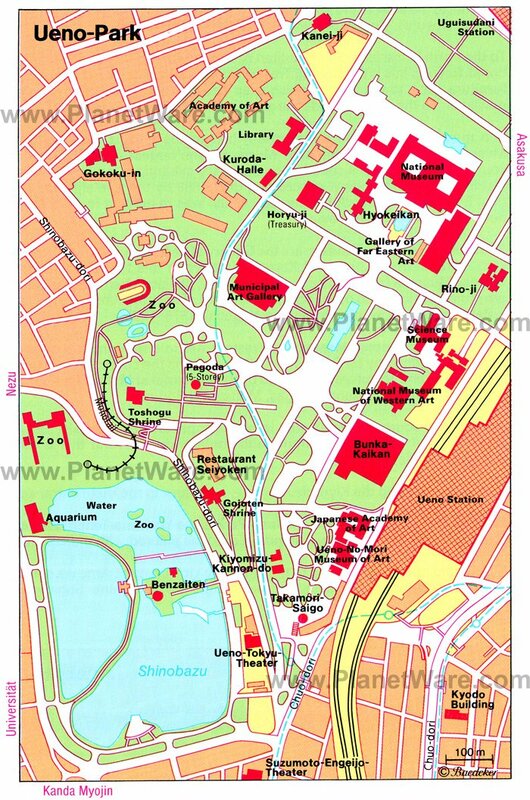 Afterwards, be sure to explore the rest of the 50-acre temple precinct with its warren of lanes. If you can, revisit the temple again at night for a completely different (and far less crowded) illuminated experience. Located in Tokyo's Ueno Park, the superb National Museum of Nature and Science (Kokuritsu Kagaku Hakubutsukan) opened in 1871 and is one of the country's oldest museums. Now completely renovated and modernized, the museum houses a vast collection of materials related to natural history and science, including many fascinating interactive displays on space development, nuclear energy, and transportation, allowing visitors a unique insight into the latest scientific and technological advances. Highlights of the Japan Gallery (Nihonkan) include numerous exhibits of prehistoric creatures, the history of the Japanese people, including traditional customs and outfits, while the Global Gallery (Chikyūkan) features many excellent scientific and technology displays, including robotics and vintage vehicles. 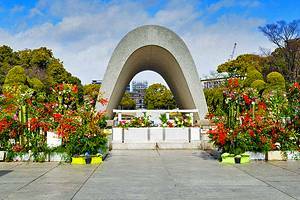 A paradise-like oasis of green in the heart of busy Tokyo, Ueno Park is the city's largest green space and one of its most popular tourist attractions. In addition to its lovely grounds, the park also boasts numerous temples and museums to explore. Criss-crossed by pleasant gravel paths, this 212-acre park includes highlights such as a trip on a small boat on the reed-fringed Shinobazu pond, around a little island with its Bentendo Temple; visiting the 17th-century Toshogu Shrine, with its 256 bronze and stone lanterns; or strolling around Ueno Park Zoo. Opened in 1882, it is Japan's oldest zoo, famous for the pandas presented by the People's Republic of China. The Aqua-Zoo, one of the largest aquariums in Asia, is also worth a visit, especially if you're traveling with kids. The National Museum of Tokyo houses more than 100,000 important works of Japanese, Chinese, and Indian art, including more than 100 national treasures. Opened in 1938, the museum includes highlights such as numerous Buddhist sculptures from Japan and China dating from the 6th century to the present; collections of old textiles, historical weapons, and military equipment; historical Japanese clothing; and Asian ceramics and pottery. Important artwork includes Japanese paintings from the 7th to the 14th centuries; exquisite Japanese and Chinese masterpieces of lacquer-work of various centuries, including examples of lacquer-carving, gold lacquer, and lacquer with mother of pearl; and many fine examples of calligraphy. English language guided tours are available. Also worth a visit is the museum's traditional Japanese landscape garden with its three pavilions, including the 17th-century Tein Teahouse (Rokuso-an), and the nearby Museum for East Asiatic Art with its 15 exhibition galleries. In Ueno Park, just three minutes' walk from Ueno Station, the National Museum of Western Art (Kokuritsu Seiyō Bijutsukan) was built in 1959 to plans by famous Swiss architect Le Corbusier. The exhibits, largely made up of works by important French artists, come mainly from the collections of Japanese businessman and art collector Kojiro Matsukata, bought during visits to Europe early in the 20th century. In the courtyard are works by French sculptor Auguste Rodin, while highlights inside are canvases by Impressionists Paul Cézanne, Claude Monet, Edouard Manet, and Edgar Degas. The museum also boasts an excellent restaurant with great views over the courtyard. Dedicated to Emperor Meiji and his wife, Empress Shōken, construction of the splendid Meiji Shrine began in 1915 and was completed in 1926. Although the original structure was destroyed during WWII, it was rebuilt in 1958 and remains one of Tokyo's most important religious sites. Surrounded by a 175-acre evergreen forest that is home to some 120,000 trees representing species found across Japan (as well as the interesting "wishing tree," on which visitors can write and hang their deepest wishes), the shrine's highlights include its Inner Precinct (Naien) with its museum containing royal treasures, and the Outer Precinct (Gaien), home to the Meiji Memorial Picture Gallery with its superb collection of murals relating to the lives of the emperor and empress. Be sure to also visit the adjacent Meiji Shrine Inner Garden (Yoyogi Gyoen), an attractive public garden complete with a teahouse, iris garden, and a pleasant arbor. One of Tokyo's newest museums, the impressive National Museum of Emerging Science and Innovation (Nippon Kagaku Mirai-kan) - usually simply referred to as the Miraikan - offers a fascinating insight into Japan's leading role in the field of technology. Created by Japan's Science and Technology Agency, this ultra-modern, purpose-built facility includes many hands-on interactive exhibits dealing with everything from earthquakes to weather, as well as renewable energy and robotics. Highlights include a number of displays relating to modern transportation such as a superb model of a Maglev train, as well as a robotics exhibition. Also worth visiting is the Edo-Tokyo Museum, completed in 1993 and dealing with the region's rich past, present, and future. Of particular interest is a replica bridge leading into a mock-up of dwellings in the original old city of Edo. It's hard to miss the Tokyo Skytree (Tōkyō Sukaitsurī), a 634-meter-tall communications and observation tower that rises out of the city's Sumida district of Minato like a huge rocket ship. The country's tallest structure (and the world's tallest freestanding tower), the Tokyo Skytree opened in 2012 and has quickly become one of the city's most visited tourist attractions thanks to the incredible panoramic views from its restaurant and observation decks. With a base designed in the form of a massive tripod, the tower includes a number of cylindrical observation levels, including one at the 350-meter mark, and another at the 450-meter point, which includes a unique glass spiral walkway to an even higher viewpoint with glass floors for those with strong stomachs. 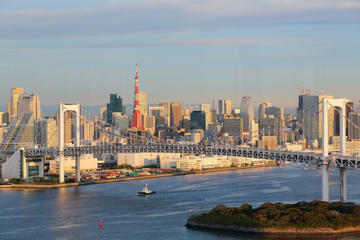 Be sure to also check out the smaller and much older Tokyo Tower, built in 1958 and once the city's tallest structure. Another of Tokyo's world-class museums is the excellent National Art Center (Kokuritsu Shin-Bijutsukan). Housed in a remarkable curved glass building in the city's Roppongi district, this superb facility only opened in 2007 and has since earned a well-deserved reputation for its fine permanent collection of more than 600 paintings, most from the 20th century, including many important pieces of modern art and regular visiting exhibitions. Also worth checking out is the Mori Art Museum (Mori Bijutsukan) on the top floors of the neighboring Roppongi Hills Mori Tower and notable for its regular exhibits of contemporary artwork from around the globe. Tokyo is home to a number of excellent theaters, none as well known as the historic Kabuki-za Theatre in the city's busy Ginza district, home to famous traditional Kabuki performances. Based upon a medieval, highly skilled, and often burlesque theatrical form including song and dance, the theater's performances are as popular among tourists as they are with Japanese-speaking people. The drama and comedy are relatively easy to follow thanks to rich visuals and theatricality. The theater's interior, usually full to capacity with some 2,500 guests, is always intimate and seems more akin to an enormous family get-together than a stage show due to the fact that spectators bring their own food or purchase treats from the various restaurants spread around the auditorium (go for one of the tasty bento box meals). Performances can last for hours, and spectators stay as long as they wish (or as long as they can bear), and no one seems to take offence at people's comings and goings, nor their loud cheering or jeering. Luxury Hotels: Perched atop an office tower on the edge of Tokyo's financial district, the Mandarin Oriental, Tokyo offers excellent views over the city. Also boasting great views - this time over Tokyo Bay - is the Conrad Tokyo, popular for its proximity to the Ginza district with its great shopping and dining. Some of the best views in the city are from the refurbished Palace Hotel Tokyo, with some rooms offering balconies overlooking the gardens of the Imperial Palace. Mid-Range Hotels: Close to the Imperial Palace and overlooking the magnificent red brick Renaissance-style Tokyo Station, Hotel Ryumeikan Tokyo is also near the city's best dining and shopping. Hotel Niwa Tokyo, north of the Imperial Palace and adjacent to the Tokyo Dome baseball stadium, is another good mid-range option, near public transport and shopping. A great family hotel is the Courtyard by Marriott Tokyo Ginza, just a five-minute walk from the Ginza shopping district. Budget Hotels: Just minutes from the iconic Tokyo Tower and Shiba Park, Hotel Comsoleil Shiba Tokyo offers reasonably priced accommodations and is popular for its proximity to the Haneda Express Monorail, the direct link to Tokyo's international airport. Also worth considering are Hotel Mystays Asakusa-bashi and Hotel Yanagibashi, each close to popular, family-friendly attractions, including the National Museum of Nature and Science and the famous Tokyo Skytree tower. Sightseeing and Shopping in Tokyo: Tokyo is a big city, and taking a tour is a time efficient way to see the top sites and one of the best ways to learn about what you are seeing. For a little bit of everything, including time for shopping, the Panoramic Tokyo Day Tour - Meiji Shrine, Asakusa Temple, and Tokyo Bay Cruise is a great option. This is an 8.5-hour tour taking in the city's top attractions, including a cruise on Tokyo Bay and time for shopping in the Nakamise and Ginza districts. For a shorter excursion, the Tokyo Skytree, Asakusa, and Central Tokyo Sightseeing Tour is a six-hour bus tour that focuses exclusively on seeing the sites. Day Trip to Mt. Fuji: One of the best ways to see Japan's biggest attraction, along with several other hot spots and beautiful scenery is on a Mt Fuji, Lake Ashi, and Bullet Train Day Trip from Tokyo. This is a full-day excursion that includes time to explore Mt. Fuji, a short cruise on Lake Ashi, an aerial tram ride up Mt. Komagatake, and a return trip to Tokyo by bullet train. 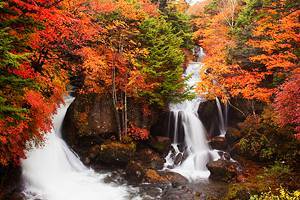 National Park Day Trip: The Nikko National Park Day Trip from Tokyo offers travelers a first-rate opportunity to leave the bustling metropolis behind them. This full-day guided countryside excursion takes in a number of important religious sites, including the famous Toshogu Shrine, along with an up-close look at the spectacular Kegon Falls at Lake Chuzenji. Admissions, hotel pickup, and transportation are included, and an optional traditional Japanese lunch is available. Bullet Train to Kyoto: If you're looking for an opportunity to experience two iconic Japanese "must-dos" in a single day, look into the excellent Kyoto Rail Tour by Bullet Train from Tokyo excursion. 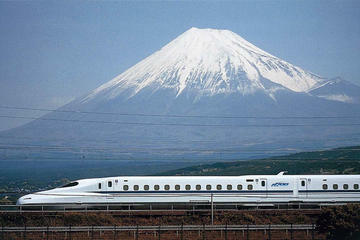 The super-fast Bullet train gets you here in just two hours, passing spectacular Mount Fuji on the way. Once in Kyoto, your guide will lead you to the best of this historic city's many top attractions, including the Heian Shrine and Kioyomizu-dera Temple (lunch, travel, and admissions are included, and an upgrade to first class on the train is available). While in Tokyo: Be sure to spend time exploring the many great attractions within an easy day trip of Tokyo. Highlights include family-favorites Tokyo Disneyland and Tokyo Disney Sea, as well as a great trip to majestic Mount Fuji. Take the Train: Thanks to Japan's superb rail system, it's possible to use Tokyo as a base to explore numerous other great cities in a day or less. 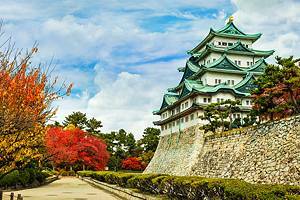 Options include taking a Bullet train to experience the attractions of historic Kyoto (passing Mount Fuji along the way), or heading to Nagoya and exploring the city's many fine shrines and temples, along with its famous castle. Japan Vacation Ideas: Another city that would serve equally well as a jumping-off point from which to explore Japan is Hiroshima. Here, you can enjoy the amazing Island Shrine of Itsukushima (you can spend the best part of a day here), as well as the many reminders of the city's part in WWII, including Hiroshima Peace Memorial Park and the Peace Memorial Museum. The city of Sapporo on the northernmost island of Hokkaido is also a good place to enjoy the country's rich culture, history, and traditions.